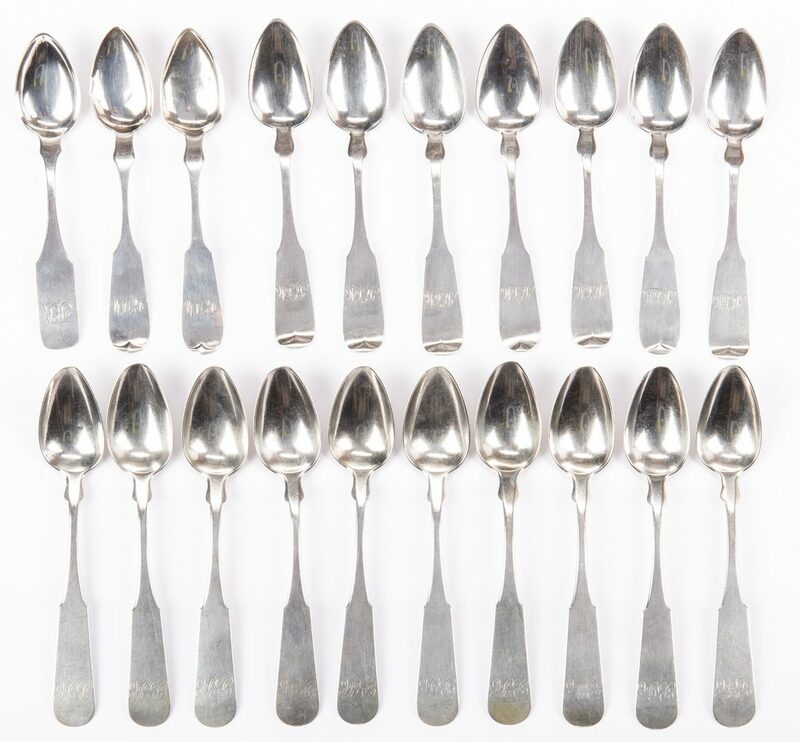 Group of Virginia and Maryland coin silver teaspoons, 20 pcs. 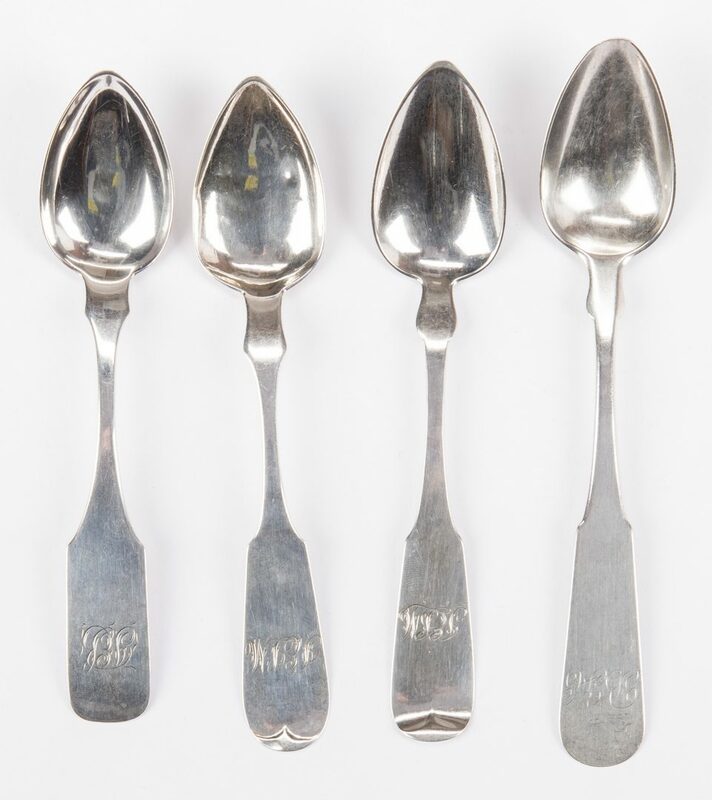 1st-10th items: Ten teaspoons with fiddle handles marked J. Hill (John Hill, working Richmond, Virginia, 1790-1860), in rectangle. Monogrammed "BFC". 6 1/4" L. 11th-17th items: Seven teaspoons with fiddle tipt handles marked Canfield Bro & Co (Ira and William Canfield, working Baltimore, Maryland, c. 1850-1881). Monogrammed "JELM". 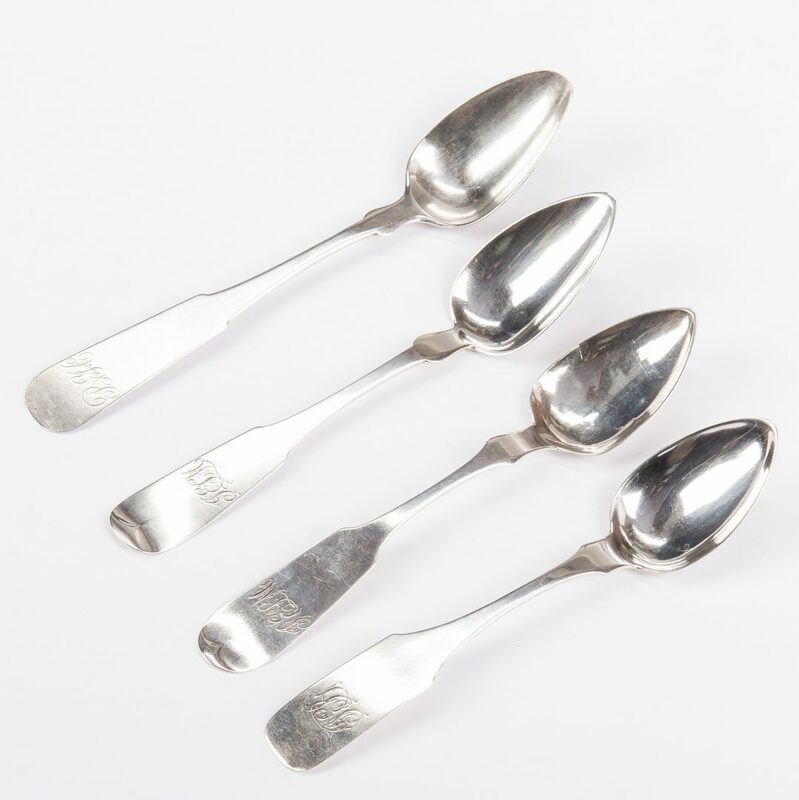 5 3/4" L. 18th-19th items: Two teaspoons with fiddle tipt handles marked T. J. Brown 1015 (Thomas J. Brown, working Baltimore, Maryland, 1842-1884), in rectangles. 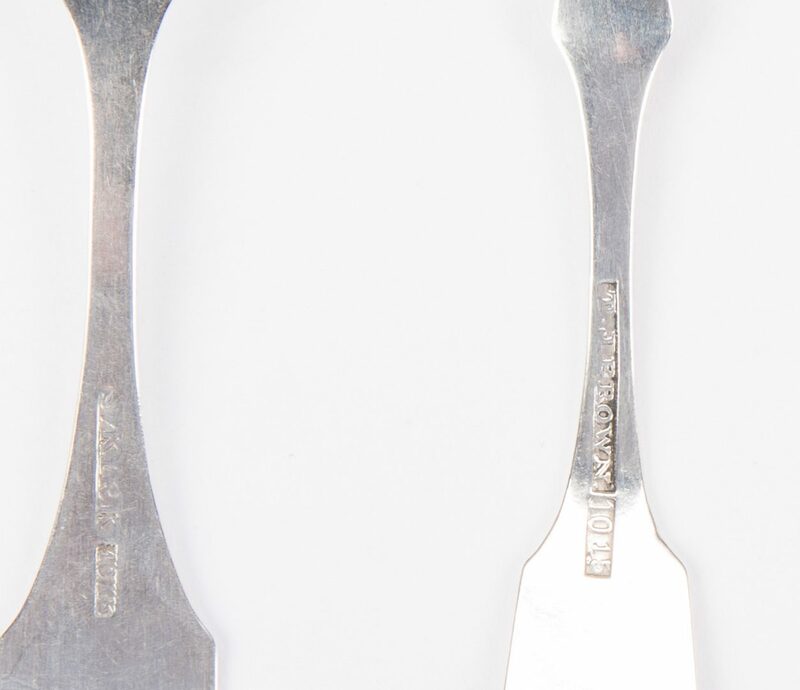 Monogrammed "JELM". 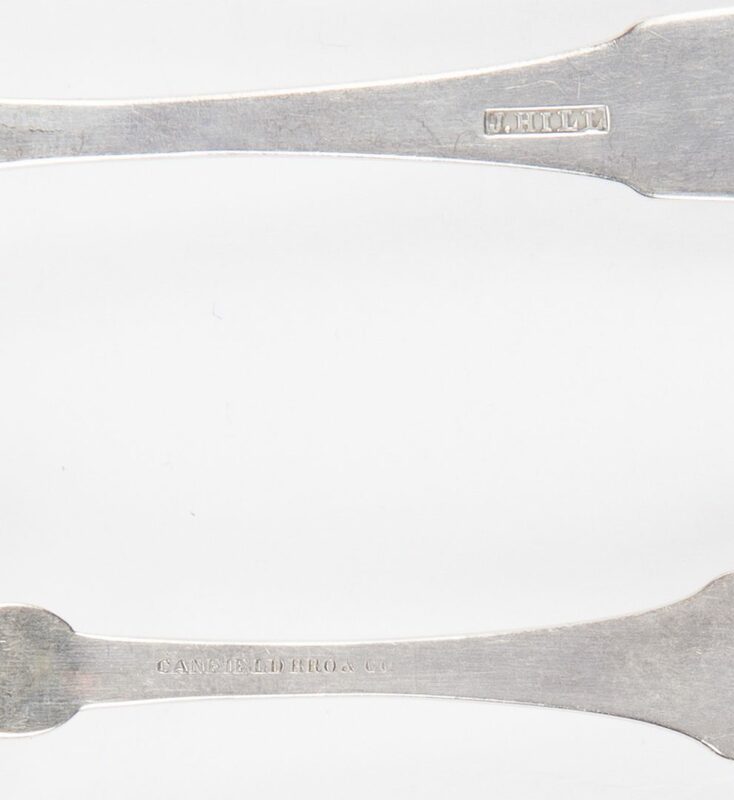 5 5/8" L. 20th item: One teaspoon with fiddle handle marked S. Kirk 10.15 (Samuel Kirk, working Baltimore, Maryland, 1828-1846). Monogrammed "JEB". 5 1/2" L. 10.90 total troy ounces. Late 18th/late 19th century. Private Florida collection. CONDITION: Overall very good condition. Most pieces show wear consistent with use. 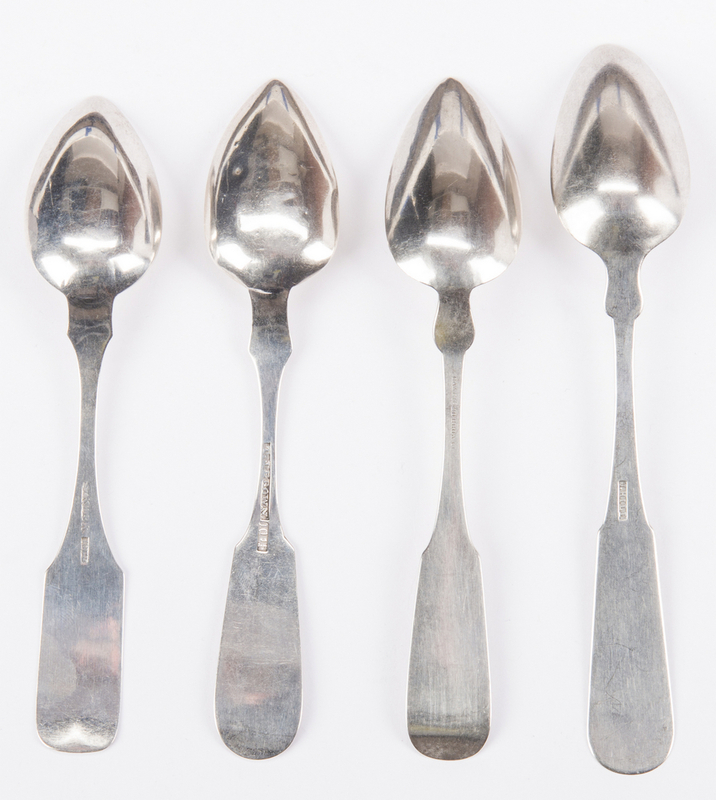 Damage to bowl, Brown teaspoons, one Canfield teaspoon. All pieces monogrammed.